For many, finding a criminology career is a job in and of itself. With so many resources, it can quickly become overwhelming. One of the toughest tasks for people seeking criminal justice careers is figuring out where to start the job search. There are several important keys to a successful criminology career search. These include networking, cold calling, informational interviews and, above all, perseverance. Of course, this doesn't mean that there's no value in sifting through the old classified ads or using the Internet to help you in your job search. To help get you going in your search for a new and exciting criminology career, check out these great criminal justice job boards. Some are dedicated solely to criminal justice careers, while others are comprehensive job search sites. In either case, these can be a great way to jump start your job search. PoliceEmployment.com: A comprehensive informational career site, PoliceEmployment.com features a keyword-searchable job board. Here, you are able to search not only for entry-level positions but supervisory jobs, as well. Also included are crime scene and forensic science technician job listings. The site includes job postings by the state as well as a political subdivision, so you can narrow your search down to local, county, city, state or federal job searches. 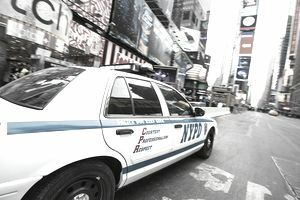 The Blue Line: Featuring color advertisements for law enforcement jobs across the country, TheBlueLine.com boasts both sworn and civilian law enforcement positions, as well as jobs with private security and consulting firms. If after all your searching you decide a criminal justice career isn't for you after all, The Blue Line also posts job listings for firefighters and other first responder careers. Officer.com: Officer.com is a popular criminal justice career site that features a wealth of resources, including an active forum for law enforcement candidates just starting out in their career search. Most importantly to criminal justice job seekers, though, is the job listings page. While the focus is largely on law enforcement jobs, this website has a large listing of police employment opportunities across the country. Simply Hired: While not dedicated solely to law enforcement and criminology careers, Simply Hired offers a broad range of ​job listing within the criminology field. This popular job board is keyword searchable, allowing job seekers to search for advertised jobs within their specific area of interest or expertise. Here, you can search for all manner of jobs, from police officer to criminologist or even university professor. Indeed.com: Like Simply Hired, indeed.com is a comprehensive job search site. What sets Indeed apart, though, is that it scours advertisements from multiple job boards to provide you with as many career opportunities as possible. Indeed allows you to search for jobs by location, salary, and keyword. This can be an excellent resource for people looking for jobs in criminal justice or criminology at any level or in discipline. Career Builder: Career Builder is another comprehensive job search site that includes advertisements for a host of occupations within criminology. Many local newspapers partner with Career Builder as the job search tool for their online editions, making career builder a good start for local job searches. Academic Keys: For those people specifically looking for academic criminology careers, Academic Keys may be your answer. As the name suggests, this job search site is dedicated to finding careers within academia. It provides job listings that are searchable, so you can perform a keyword search for criminal justice, criminology or social science. The site also sorts job postings by discipline, making it easier to find exactly what you're looking for. One thing that is vital to remember when using job boards is that these sites only list jobs that are advertised. There are vast numbers of jobs available that are never advertised. This is why cold calling and networking are so important to any criminal justice career search. When searching for jobs, don't forget to tweak and update your resume and take the time to carefully complete the job applications, as mistakes on these can keep you from your dream job. Pay very close attention to the date of the job postings. Often, companies pay to advertise for a set period of time. It may be the case that older advertisements have already been filled. Of course, it never hurts to try, so don't be afraid to apply to any posting. The worst thing that can happen is that they'll say "no."